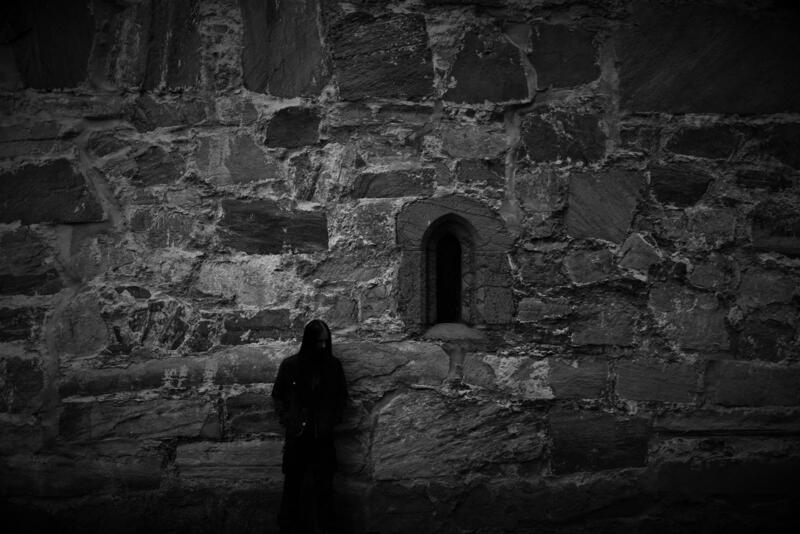 Let’s talk about the darkness with the multi-talented Stein Akslen, the mastermind behind Norwegian Romantic Black Metal project Minneriket. The Headbanging Moose: Can you please start by introducing yourself to our readers? Who is Stein Akslen, and what is Minneriket? Why and when did you decide to start such distinct project, and where do you want Minneriket to be in the following years? 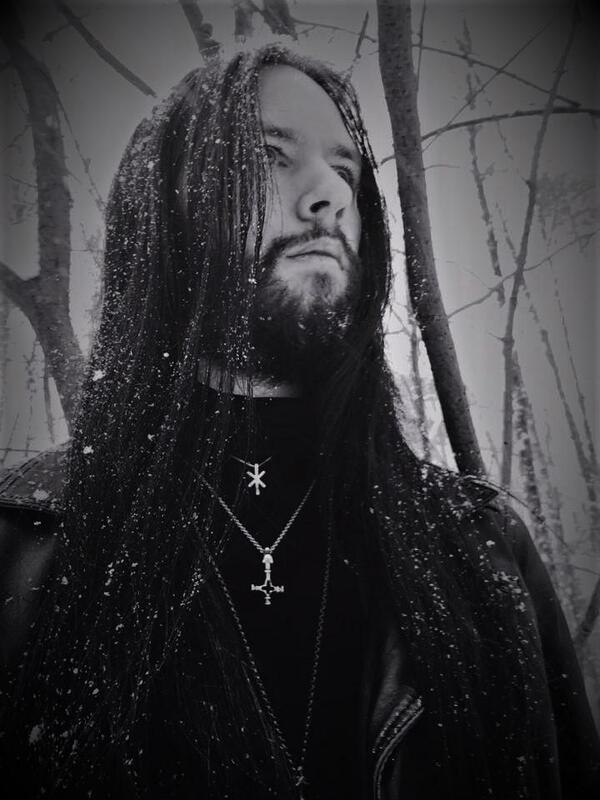 Stein Akslen: Minneriket is a solo project I started a few years ago to be able to create music focusing solely on atmosphere and an internal dialogue with myself. It’s about being nostalgic but still innovative, rooted in tradition but walking new paths and carving out a whole new beast. As some might know, I started in Blodsgard long before Minneriket and I saw great success with that band where we hold our art to the highest standards truly representing the elite of the genre, but I needed another outlet – something more egocentric, minimalistic and completely without ambitions. With Blodsgard we have goals, but in Minneriket there are no goals – there are only soundscapes, audio therapy and a straight-to-the-core kind of songwriting. The only thing I know about the future for Minneriket is that it will continue to evolve, that no ground is too sacred to tread upon, and that there are no barriers for sound, message or aesthetics. THM: As mentioned in our review to your latest album Anima Sola, Minneriket plays what can be called “Romantic Black Metal”. Can you explain us what such distinct label truly means? What’s the real definition of it? And do you enjoy having your music categorized this way? SA: Well I coined the term, so of course I enjoy it. The Romantic era was an artistic and intellectual movement that originated in Europe towards the end of the 18th century. The Romantic art had an emphasis on strong emotions, individualism and a glorification of the cultural past and the nature that surrounds us. This is a philosophy that resonates with what I do with Minneriket. Romance is so much more than just the popularization of love. Romance is strong and deep emotional desires, a yearning to connect to something and to grow emotionally attached. This approach, trying to convey the deep longing for something outside of yourself, either in nature or spirit, is the essence of what I wish to achieve with Minneriket. THM: The title and artwork (designed by Czech artist Anna Marine) in Anima Sola (or “lonely soul” in English) are based on the catholic imagery of the lonely spirit burning in purgatory. In addition to that, you mentioned you composed Anima Sola because “we need to talk about the darkness”. Can you tell us more details about that? SA: “We need to talk about the darkness” become like a tag-line for this release. You know, Black Metal music has become this watered-down version of itself: people compose music in a certain way and sing about certain topics because they’re expected to – because they have this blue-print of what an album should look and sound like. It’s a very shallow understanding of art, and I oppose that with every fiber of my body. You can spew out album after album claiming you’re the Antichrist incarnate, and nobody bats an eye because that’s just “how it’s supposed to be”. I need to make something that’s real. That will speak directly to your emotions. To make you question your existence and reflect on your life and values. I’m a melancholic person by nature, and decided to dwell in that mental basement for a lot longer than usual when crafting this album. A lot of Black Metal listeners have a very superficial understanding of the darkness they pride themselves in representing and that’s what makes this an uncomfortable album for many; it’s true, it’s real, and it’s challenging. There’s no aggression here, no hatred or other lyrical “staples” – no easy way out – it’s solitude, depression, anxiety and a yearning for something outside of your reach. We all feel this from time to time, some more than others, but I wanted to take the time to really explore this. I don’t respect either taboos nor your perfect presentation of life on social media – I want what’s real, what’s uncomfortable and the raw and untainted emotions… And that is why we need to talk about the darkness. THM: In Anima Sola, you offer the listener the chance to enjoy your classic Black Metal in both English and Norwegian, with pretty much half of the album being in one language, half in the other. How do you decide if a song will be sung in English or Norwegian? What’s your process to write the lyrics for a song? SA: Earlier I used to think that it was a conscious choice I did. That the songs in Norwegian perhaps were closer to heart, and that the ones in English were more directed outwards to an audience. But I’m not so sure anymore. I prefer Norwegian myself, but I’ve got to be pragmatic about it too – some things just sound better in English. I can’t force it into one way or another, if a translation would diminish the value of the lyrics. So I really just let the songs decide the language themselves. I always start with the lyrics, or at least some half-finished lyrics. Maybe just a title or a few sentences. Then I build the words and the music around this idea. I’m looking for “What was the essence of this word?”, “What were I feeling when I wrote this sentence?”, then I revisit that place inside myself time after time until the lyrics are done and I can start creating an audio representation of the words, which then turns into the whole song. I go back and forth a lot of course, but that’s the main framework I work within. THM: Although Minneriket is considered a one-man band, you had the help of guest musician Fredrik Rex (Blodsgard) on guitars and bass in two songs of the album, An All Too Human Heart and Det lyset jeg ikke kan se (“the light I cannot see”). How did you invite Fredrik to be part of the album, and how was the recording process with him? SA: Well I’ve worked with Rex in Blodsgard for about 10 years now, so it’s only natural that if I’m looking for creative input that he’s my go-to-guy. He’s got a whole other kind of musical understanding than I have, and he’s both very creative and have good techniques. I have pretty deep trust-issues when it comes to my art, so it’s best for me to use him because we’re able to communicate well. So I just invited him over one day, played him some of music I was working on, it was mostly finished already and just needed the right kind of flavor and seasoning, so I asked him for a few lead-guitar parts and a bass-line. Very low-key and informal, just how it should be. After using about 30 minutes to tell me how weird it is that I tune my guitars a half step down, he took about 15 minutes to record the parts. And here’s where I need to admit a mistake… He actually played on “Tro, håp og kjærlighet” and not “An All Too Human Heart”. That’s a typo in the booklet! THM: One of my favorite songs of the album, the full-bodied aria Det lyset jeg ikke kan se, feels like a 13-minute descent into the pits of hell. How was it for you to compose such bold song? And is the final result exactly what you wanted it to be after listening to it now that the album is out? SA: I’m glad you like that one! It was a very challenging song to do. I needed it to be this kind of huge sonic behemoth, and it’s difficult to maintain the claustrophobic atmosphere throughout 13 whole minutes. The music had to fit the lyrics, which really takes you to the dark corners of your mind. It needed to be repetitive and monotonous, a feeling of hopelessness but still dynamic and drive the song forward, and at the same time without becoming boring or losing the listener on the way. But I think that the way the guitars blend with the different vocal techniques I used here really makes it work. Hindsight will always be 20-20 (to do some Megadeth-paraphrasing), but looking back on it I’m really proud of that song. It has a little of everything that Minneriket is about, and it’s objectively a great piece of music too. THM: The closing song of the album, Time for Suicide, seems to deal with a very delicate and controversial topic. The lyrics for this song are dark, pensive and somewhat disturbing, like “Headaches taunt me with flashbacks of the past / Call it fear, but I think it runs deeper / an infection that eats away at my soul / furthering my suffering and doubling my agony”. What details can you tell us about this song? What were your main goal when you wrote it? SA: I guess this is a song with no hidden meaning, haha! It’s a pretty obvious thing. “Time for Suicide” is just that, a song about suicidal thought patterns and self-destructive behavior that may have risen above you and become its own entity. The moment where you lose your autonomy and your control. This all goes back to what I said initially about how we need to talk about the darkness. These things build up inside of a lot of people, and it’s controversial, it’s taboo, and even hidden away in shame. That’s not healthy, not at all. We need to face it, own it, and in that way rise above it and take back control. It’s not a song that advocates suicide or self-harm, not at all, but it’s a song that let’s you know that it’s out there, that we shouldn’t hide it just because it’s uncomfortable. There’s no reason to be ashamed of who you are or what emotions you’re experiencing, and I find it very important to shine some light on these subjects. Nothing good comes from keeping quiet. THM: Now let’s talk about the musician Stein Akslen. Who are your biggest influences in music? And what other sources do you usually go to while crafting your Black Metal music? SA: I always credit the ambient albums by Burzum and Mortiis/Vond with being my initial inspiration to start making music myself. This extreme minimalistic synth atmosphere was something unlike anything I’d ever heard when I first experienced it, and I instantly knew that I would be able to convey emotions in a similar manner. The “Stormblåst” album by Dimmu Borgir (the original one of course, not the re-recording) meant a lot to me with how it balances harmonies with rhythms, and “Pentagram” by Gorgoroth have some of the best rock’n’roll drums you’ll ever hear within Black Metal, that was a bold choice and really lifted that album to a new bar. Lyric-wise I don’t look so much to other bands, as I honestly believe most of the lyrics – especially in the metal genre – is complete and utter crap. There’s a few exceptions, but they are few and far between. I rather look to older poets, like Ulven, Jonsson, Crowley, Ibsen, etc., to see how it’s possible to say a lot with few words. To really grasp just how minimalistic you can be and still present a mountain of meaning. THM: Do you envision Minneriket playing live one day as a full band, with other musicians helping you take your music to the stage? Or is it always going to be a pure studio project? And do you dream of touring with any specific renowned Black Metal band in the future with any of your bands or projects (Blodsgard, V0id&Khaos, Vakslen or Minneriket)? SA: I’ll go live with Minneriket when I can co-headline with Burzum and have Darkthrone as supporting act. THM: What’s your view of the current metal scene in Norway, the birthplace of Black Metal? Is it pointing to an exciting future? What other underground acts hailing from Norway like Minneriket can you recommend to our readers? SA: Mostly just a bunch of self-obsessed drunken party-rockers who thinks spikes and corpse paint gives them some sort of credibility or validity. Doing their best to re-enact the music they like themselves, while completely failing to grasp or present anything of integrity or artistic value. I can’t recommend anyone in good conscience. THM: Thank you very much for your time, and I hope to hear more from Minneriket in a not-so-distant future as your music is truly captivating. Please feel free to send your final words and considerations to our readers, and to invite everyone to join the dark world of Minneriket. SA: Thank you. I released the last video from Anima Sola for the song “Alle hjerter banker ei” (Not all hearts beat) a few days ago for a fitting celebration of Valentines day… And after popular demand I also made Minneriket merchandise available for the first time ever, and everything can be ordered through the links on www.minneriket.com. This entry was posted in Interviews and tagged alle hjerter banker ei, an all too human heart, anima sola, anna marine, black metal, det lyset jeg ikke kan se, fredrik rex, minneriket, norway, norwegian black metal, romantic black metal, stein akslen, tro håp og kjærlighet by Gustavo Scuderi. Bookmark the permalink.